This has been nothing short of a transformative year for the legal cannabis industry. A number of pot stocks have uplisted from the over-the-counter exchange to reputable U.S. exchanges, GW Pharmaceuticals had its lead cannabis-derived drug approved by the U.S. Food and Drug Administration, and Canada became the first industrialized country in the world to legalize recreational weed. Yeah, that's a pretty good year. Many of the top marijuana stocks in 2018 have soared because they've promised huge peak production figures when at full capacity or they've managed to secure a brand-name partnership. For instance, Canopy Growth Corp. is up 61% year to date on the heels of Modelo and Corona beer-maker Constellation Brands announcing an additional $3.8 billion equity investment in the company in mid-August. This investment came at a 51% premium to where Canopy's stock had closed on the previous day. Canopy Growth also is expected to be the second-biggest aggregate producer, with 5.6 million square feet of capacity in British Columbia, which could translate to around 500,000 kilograms of cannabis a year. 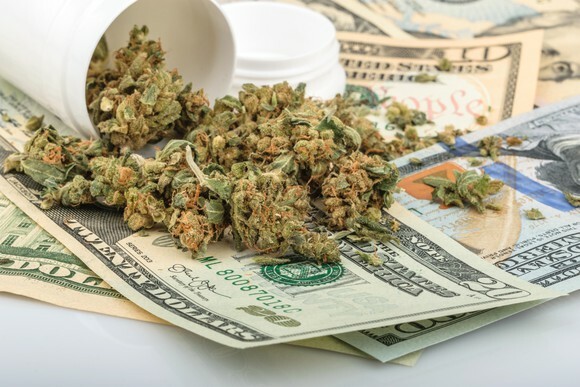 However, the top marijuana stocks of 2018 are unlikely to be the top marijuana stocks of 2019. That's because the metrics that matter to investors are about to shift. Up until recently, everything had been about expanding production capacity and outgrowing peers. Now, with legalization official in Canada, Wall Street and investors are turning their attention to other factors, such as brand building, international expansion, product differentiation, and tangible operating results. This is what I suspect will matter most in 2019 and determine next year's best marijuana stocks. Could these be 2019's top performers? So, what stocks might those be? Though it's a few months early to venture a guess, I do have a few dart throws that should offer differentiation and tangible growth. One idea is Aphria (NASDAQOTH: APHQF), which has a number of potential catalysts in 2019. For starters, two of its major growing facilities are expected to be completed by January. Its organic Aphria One project and its partnered Aphria Diamond project should yield an estimated 220,000 kilograms annually out of the 255,000 kilograms projected by management at peak production. Aphria also is in the midst of constructing an extraction facility that'll be responsible for yielding up to 25,000 kilogram equivalents of cannabis concentrates a year when complete. The thing is, alternative forms of consumption, sans cannabis oils, are illegal right now. Parliament is expected to review new consumption options in 2019, including concentrates and cannabidiol-infused beverages. If approved, this would be a high-margin boost for Aphria. Let's also not forget that Aphria hasn't yet landed a brand-name partner. As Canada's third-largest grower by aggregate annual yield, which focuses on higher-margin alternatives, Aphria could very well attract a partner in 2019. If it does, it'll certainly put some pep in Aphria's step. Perhaps the top marijuana stock in 2019 will come from the ancillary industry (i.e., companies that support the weed industry without coming into contact with the plant). A company like KushCo Holdings (NASDAQOTH: KSHB) may have a lot to offer investors. KushCo's primary business is as a provider of branding, packaging, and marketing solutions for more than 5,000 pot businesses worldwide. 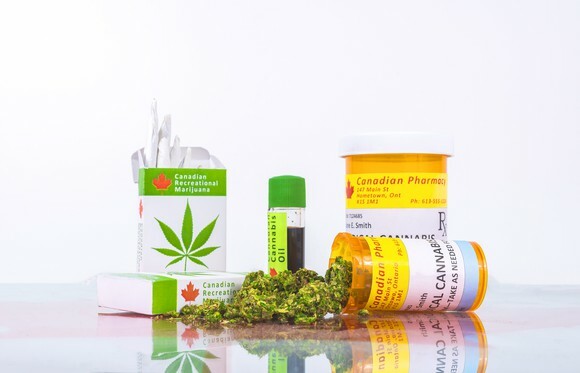 For example, Health Canada laid out a series of regulations that growers will have to follow if they want their products on dispensary-store shelves. This includes warnings on the packaging labels and the need for tamper/child-resistant packaging. KushCo is responsible for creating these packaging products and helping to ensure that growers stand out in a very crowded field, despite the need to follow strict guidelines. This is a business that should soar in 2019 as growers bring their new production online. KushCo also made waves this year with its purchase of Summit Innovations. Summit is a producer of hydrocarbon gases and solvents. These gases are used in the production of high-margin cannabis oils, while the solvents are important during the process of creating cannabis concentrates. This makes KushCo an intriguing niche play. It's also possible that the top marijuana stock for 2019 comes from outside of Canada (sort of). CannaRoyalty (NASDAQOTH: ORHOF), though based in Canada, does most of its business in California. Mind you, California is the fifth-largest economy in the world by GDP (gross domestic product), and its cannabis industry could very easily eclipse all of Canada in total sales when fully ramped up. CannaRoyalty fits into all of this as a distributor of marijuana within the state. You see, there are expectations for thousands of brands competing in hundreds of licensed dispensaries. However, there are just a handful of distributors that are authorized to take weed from point A to point B. CannaRoyalty has been busy acquiring smaller distributors within the state in an effort to grow its distribution market share and therefore boost its predictable cash flow. 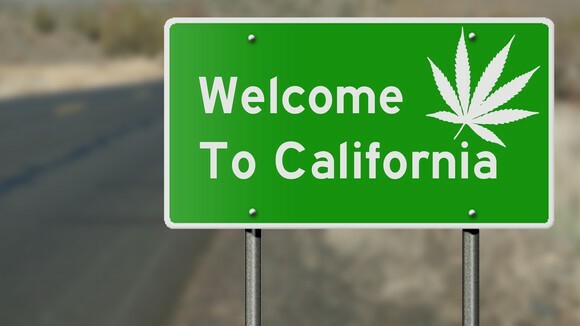 The biggest wildcard in 2019 will be how well California adjusts to dispensary licensing delays, as well as rampant oversupply, which has hurt CannaRoyalty's near-term prospects. Assuming California overcomes its red-tape malaise, it's not out of the question that CannaRoyalty becomes a top performer. Long story short, expect new pot stocks to lead the way in 2019. Sean Williams has no position in any of the stocks mentioned. The Motley Fool recommends CannaRoyalty, Constellation Brands, and KushCo Holdings. The Motley Fool has a disclosure policy.